It was celebration time for Des as he took two top honours at this year’s Scottish Comedian of the Year Awards. 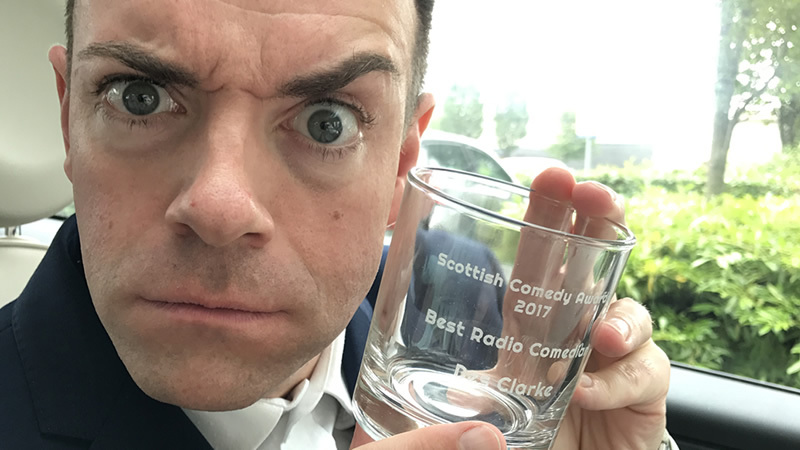 Winning both the Radio Comedian and Radio Comedy Show of the Year prizes, recognises another great year on air for Capital FM and BBC Radio Scotland. This also marks a hat trick of award wins at the celebrated event.